So, here is the fun part. Every Tuesday, teachers from all over will be posting a fun snapshot from their day in the classroom. Love this idea! 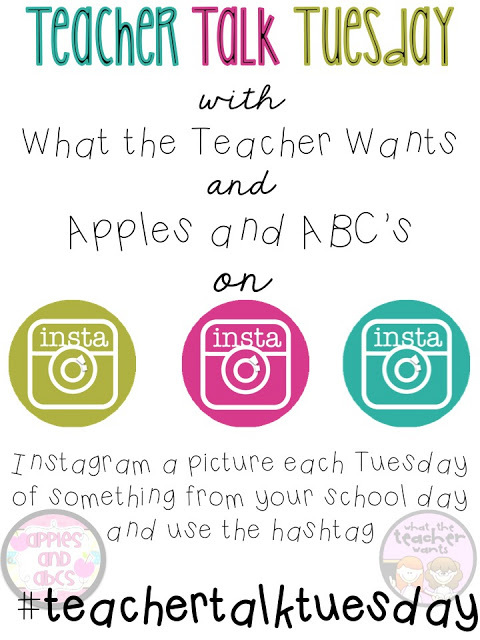 So, get in on the fun and link up with What the Teacher Wants or Apples and ABC's. 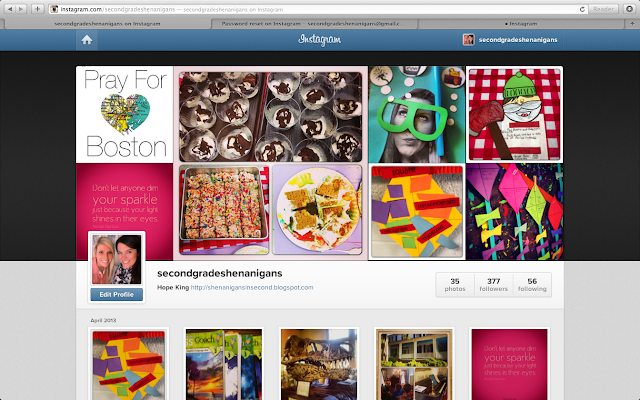 And...don't forget to follow me @secondgradeshenanigans. Yes! to the nosey part! I love to see all my bloggy friends at school and at home! :) You are not alone! YAY!!!! Love you!! Thank you so much for linking up!!!!! Found you through the instagram linky. I checked out your instagram and there's some awesome stuff there. I'm your newest follower. Who doesn't love pictures and seeing what people are up to! Definitely following you! Can't wait for tomorrow. Love how we bloggers are taking over Instagram!